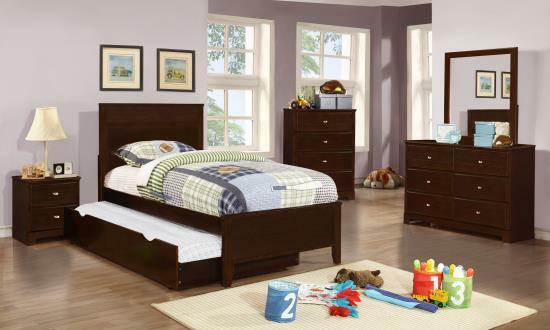 Add this bed to your child's bedroom for handsome transitional style that they will love for years to come. Simply designed with framing, tapered feet, and crisp, clean lines, this design is perfect for your child to grow up with this bed for relaxed style in their bedroom retreat. A pull out trundle provides a comfortable place to sleep for guests during sleepovers. Available in multiple colors, you can find the one that your child loves.